Independent India’s First Political Assassination. 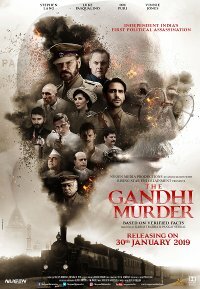 This film takes a look at the murder of Indian civil leader Mahatma Gandhi, by following events through three police officers in different parts of the country. These officers became aware of the plot against Gandhi, and had to make a decision between his life and the health of the nation. This film is also known as “Solar Eclipse: Depth of Darkness”.